Are you ready to take control of your career and open your own salon on your terms? Private Salon Suites for Hair, Nail, Makeup, Skin and Wellness Services available at the brand new, luxurious Phenix Salon Suites of Plantation, Florida! 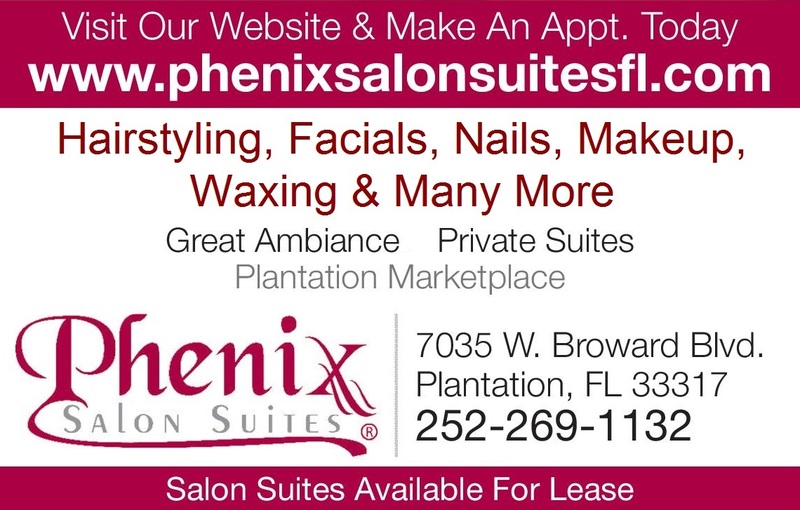 Phenix Salon Suites of Plantation, Florida offers 26 luxurious suites, so there is a perfect suite for every salon professional. Deluxe Single Suites measure 110 sf, and we have several premium and large double suites as well. We are located in the Plantation Marketplace Shopping Center along the North side of Broward Boulevard, 0.6 miles east of University Drive, a main east west arterial through the Plantation trade area. The community of Plantation is in the heart of South Florida and known as one of the most prestigious residential communities in the area.